Cajun Caesar Grilled Chicken Recipe - 3 ingredient marinade! Caesar dressing, cajun seasoning and lemon juice. SO simple and super delicious! Whisk up marinade in the morning and let the chicken hang out in the fridge all day. Grill up for a quick and delicious dinner. 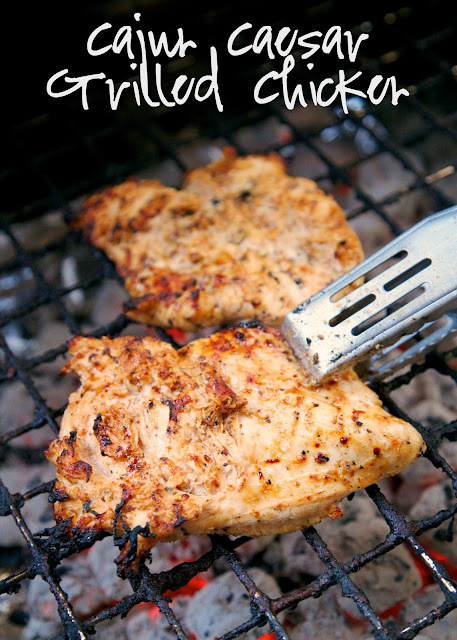 I'm sharing another simple grilled chicken marinade. This Cajun Caesar Grilled Chicken recipe only has 4 ingredients - that is including the chicken! You probably already have all the ingredients in the house to make this. Caesar dressing, cajun seasoning and lemon juice. I used a fresh lemon, but the lemon juice in the green bottle works great too! I whisked the marinade together and let the chicken hang out in the fridge all day. We fired up the grill and had dinner in under 20 minutes! The chicken tasted fantastic! We didn't think it was spicy, but you can always reduce the amount of cajun seasoning if you are worried about any heat/spiciness. Whisk together dressing, cajun seasoning and lemon juice. Pour over chicken and refrigerate for at least 30 minutes, up to overnight. 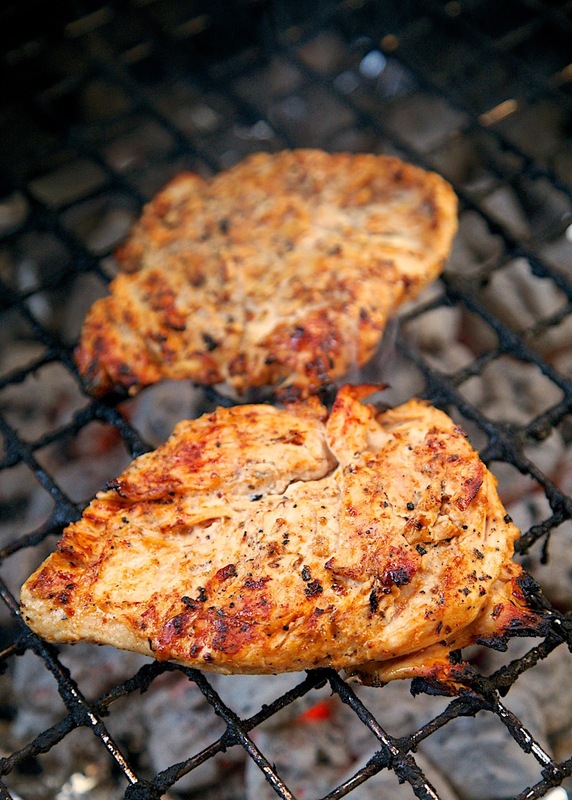 Remove chicken from marinade and grill until done, approximately 10 minutes per side. It doesn't get much easier that that and I can believe it was delicious. What's your preferred brand of cajun seasoning? I put Tony's on everything, but I'm not sure if that's what you're referring to in recipes like this! I like Tony's a lot. I also have some Cajun seasoning that I bought in New Orleans. Which kind of Caesar dressing? there's the thick white dressing and then there's more vinaigrette like Caesar dressing. I used Kraft caesar vinaigrette dressing.